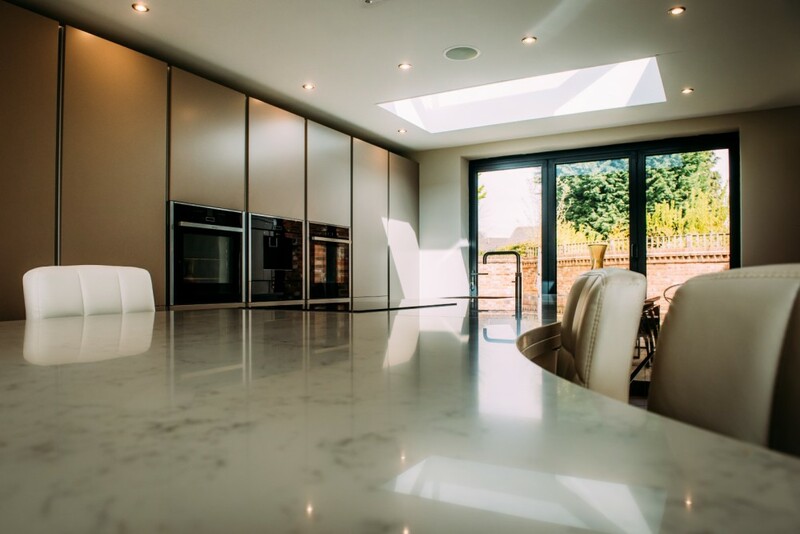 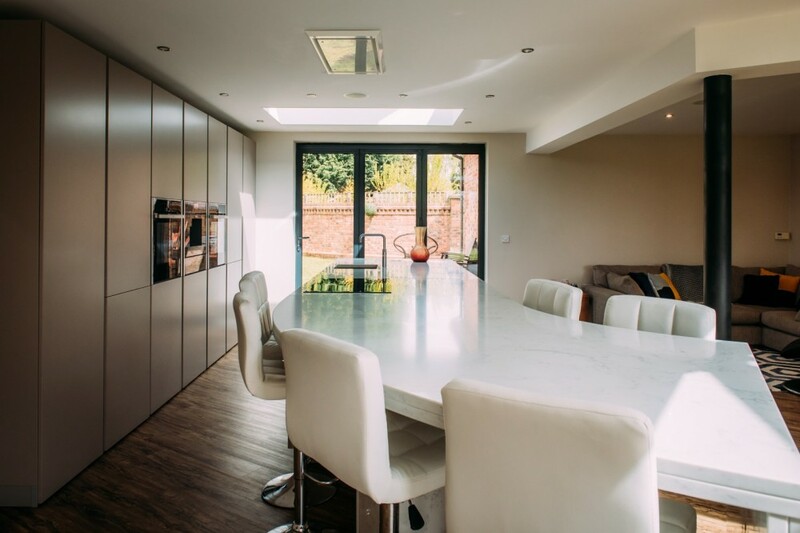 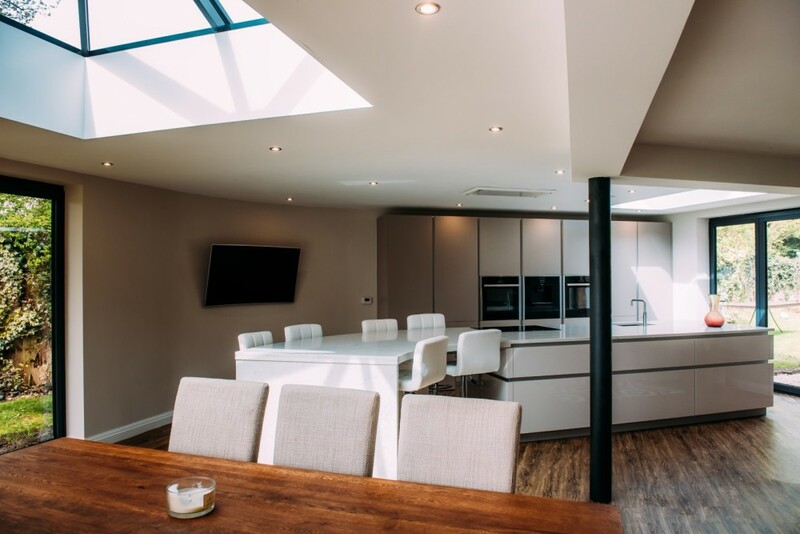 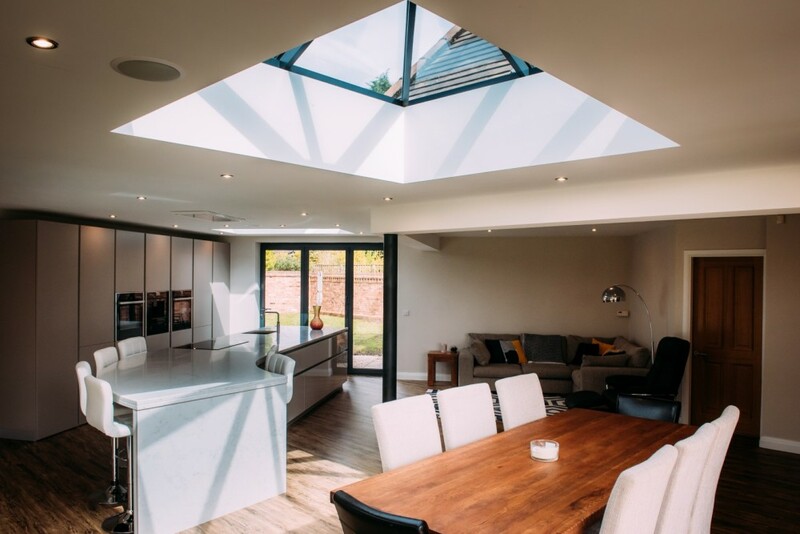 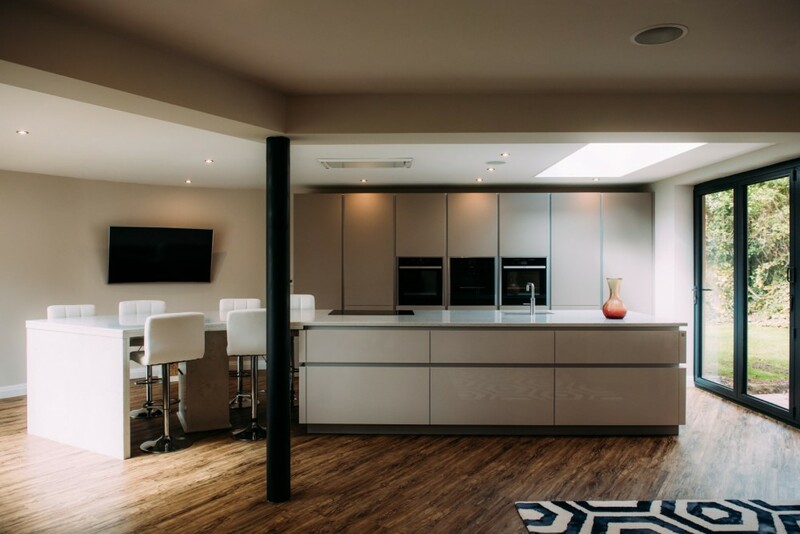 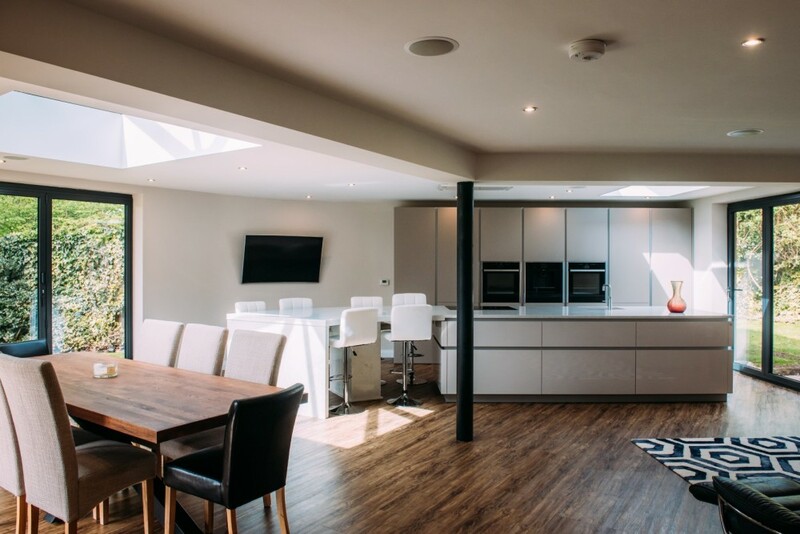 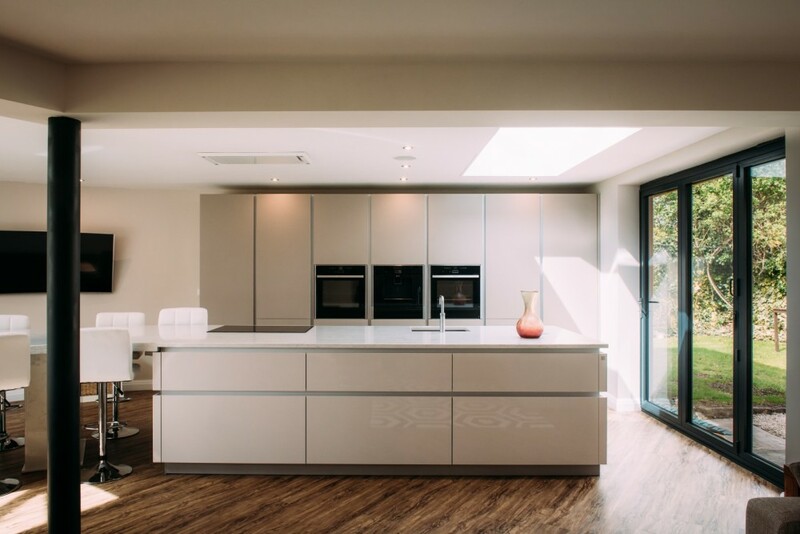 The extension on back of this new family home created very different and interesting shapes with angles, roof lanterns and support columns: our challenge was to design a kitchen with island and seating for the family to suit the new, contemporary space. 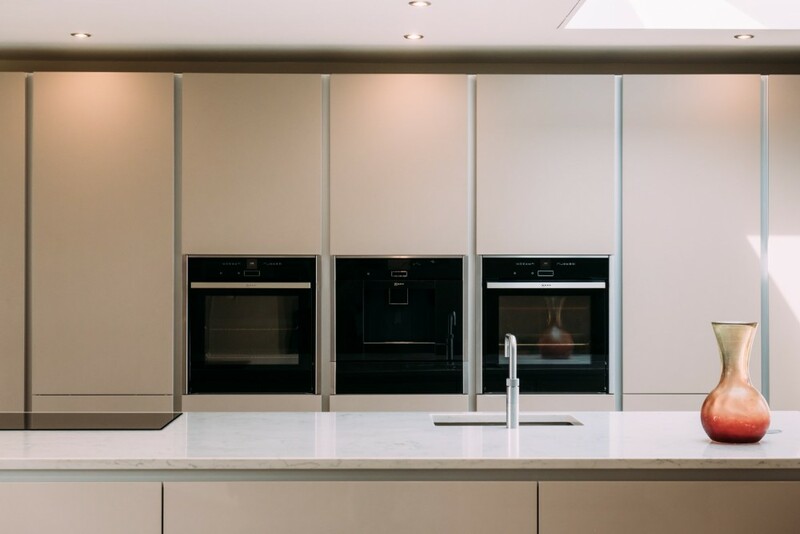 Packed with storage, the tall bank of Leicht units in Gloss Mohair contains a bank of NEFF ovens, with NEFF Fridge and Freezer. 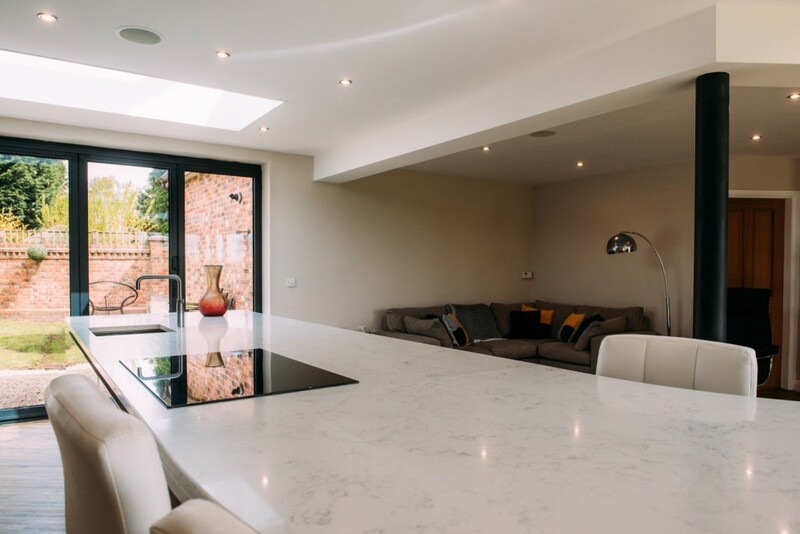 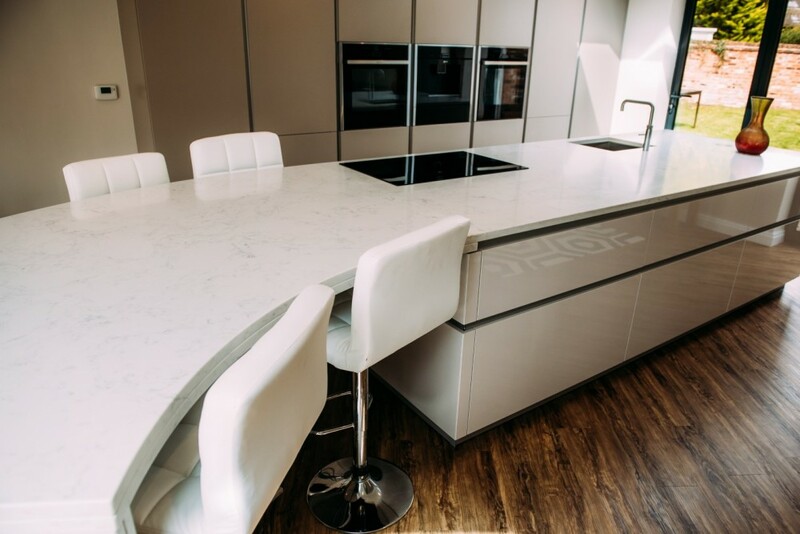 The hob and sink are both set on the island within a stunning marble quartz worktop. 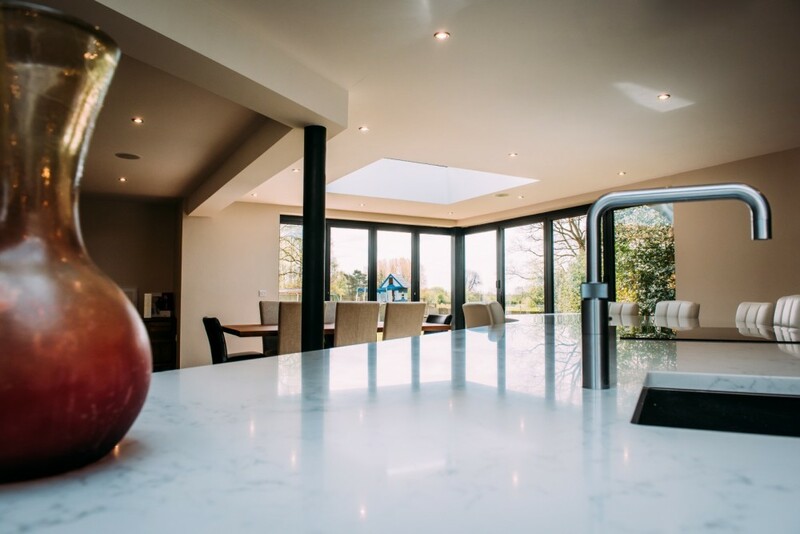 The design cleverly creates bar seating space by continuing the quartz away from the island in a sweeping curve, drawing the eye into the dining zone of this superb open space.